If clients who have arrived in Canada from overseas looking for a new life, the one thing that they will have discovered is that Canada is a great country which has people from all walks of life, variety of cultures and amazing races. The biggest challenges new Canadians face is settling into a new country. The Canadian government has a plethora of great websites for new immigrants. These sites provide great resources to help your clients in the process. In this article, we will explore the three different types of people statuses when they enter Canada. 1. The first type of status is new Canadians who are here on work visas and are landed immigrants who are currently employed. 2. The second type is non-landed immigrants who are employed. 3.The third types are new immigrants who are not yet working but who have applied for, or been granted landed immigrant status. Once clients have established which one is them, there are many ways to tackle buying a home. 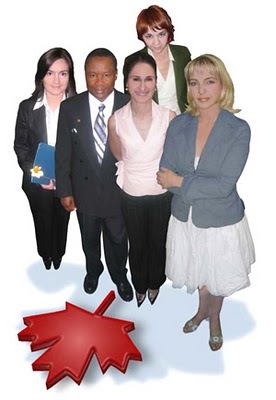 New Canadians must be employed for a minimum of three months before they are eligible for a mortgage. In Canada, we have something called the probationary period which is commonly described as the dating period between the employer and employee. Lenders which are commonly known as Banks have designed a minimum three month rule. The purpose of this rule is to ensure that employees have passed the standard three month probationary period with their new employer and they are now permanent employees. Lenders or Banks 100% of the time request to pull something called your “credit bureau”. Simply put, this is your financial report card. They want to see a history of credit repayment. Do you pay your bills on time? I always ask my clients to try to get an international credit report from Equifax or Transunion or any other credit reporting agency. I also ask them to get bank references, utility bills, cell phone bills from your country. This will strengthen the mortgage application and show the lender that you pay your bills. You also may want to get a reference letter from bank managers from your country. Building credit in Canada is very important. Certain banks have programs where they offer products which can quickly start building your credit, if your clients are not eligible, advise them to get a secured credit card. Establishing a Canadian credit history is a paramount step. Many people are confused on how a secured credit card works. Here is how it works: if you are approved for a $500 limit on a secured card, you pay the creditor $500 upfront as security deposit, after a few months of demonstrating successful repayments (which is usually 6 to 12 months), you get that money back. In many cases they increase the credit limit to let’s say $2000. The key is to use the credit card and make payments every month on them. I always tell my clients to pay the balance in full. If you clients are here on a work visas and are landed immigrants who have been working for a minimum of three months, through various lenders they can qualify for a product called a high ratio mortgage which is up to 95% financing of the home. So let’s say that is worth $100,000, the bank will finance $95,000 and all you need is $5,000. The condition is that they need to have a strong international credit report or be able to provide proof that they pay their bills on time as mentioned above. If you clients are non-landed immigrants and have been working for at least three months and have a strong international credit report or are able to provide proof that they pay their bills, they can qualify for up to 90% financing*. If you clients are new immigrants to Canada, and do not have landed status yet and are not working, there is a program available where they only need a minimum of 25% down payment. For example that home is $100,000 and you have $25,000, financing is possible for the reminder $75,000. The biggest advice I give to new Canadians is that you cannot blindly trust a real estate agent because he speaks the same language as you or is the from the same town. 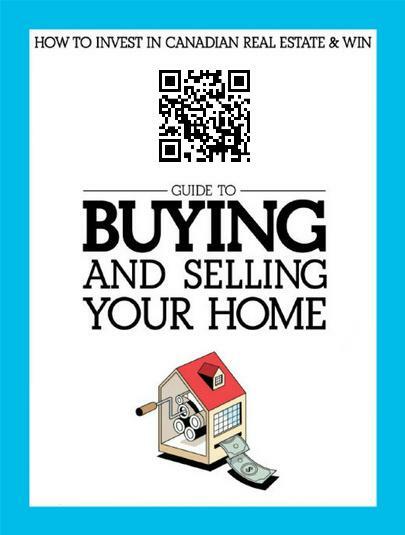 It is important to research the information yourself, speak to other real estate agents. I always tell my clients to go into their local branch and find out what products are available for them. Buying a home in Canada may seem challenging at first however it is important to have someone guide you through the process who has done it before. Every case is different. Every situation is unique. Call me or contact me if you are interested to buy-sell real estate – home- office- business, even if you have down payment, little down payment and no down payment and what you need to do to buy a home.